This is so adorable! I love being able to see those cute critters out the window!! So adorable! :) Love the new window die. So cute! I love the photo strip a lot! I just love those snapshot scenes!! You really did a fantastic job with your cards. I love your coloring!! Love the cute critters in this window scene. Super cute!! I love how the window opens to reveal the sweet little scene! What a lovely scene!!! Love the window!!! Aww, I feel like this is exactly what I see when I look out my window: deer, bunnies, and squirrels! So sweet. And wow, what an incredible collection of cards you made for this release. I'm always impressed with how much effort the DT puts into every release. Thanks for all your hard work and sharing your creativity with us! I love all that you created! 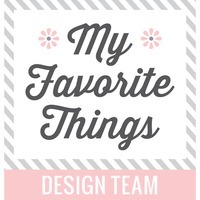 What a stack of adorable cards you have created! I love the window scene, it is so perfect and so many possibilities! And that cover stamp is fantastic! I have loved them all. 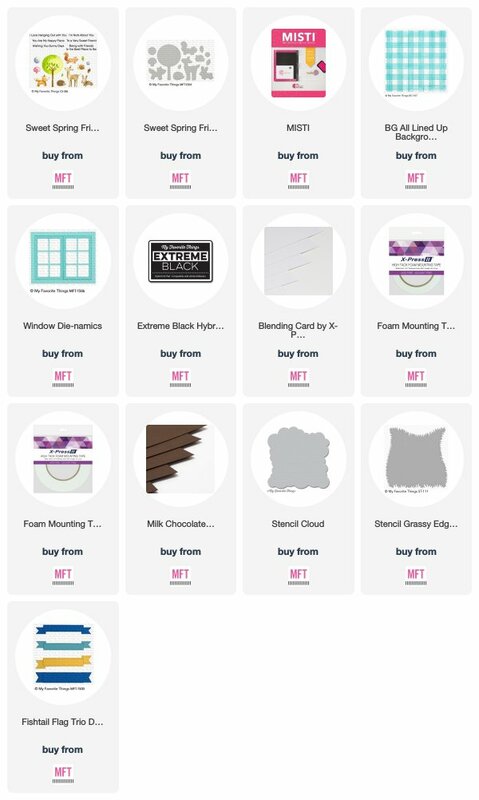 Can't wait for my goodies to try some of the ideas out! What a darling scene! I love the window! Great card! These windows open to such a sweet little scene, thank you for sharing this! Perfect scene with these sweet critters. Your projects are amazing as always, I especially love the treat bags. I'll have to grab that die next time. Thanks for sharing!! Wonderful combination of new products on your adorable card! 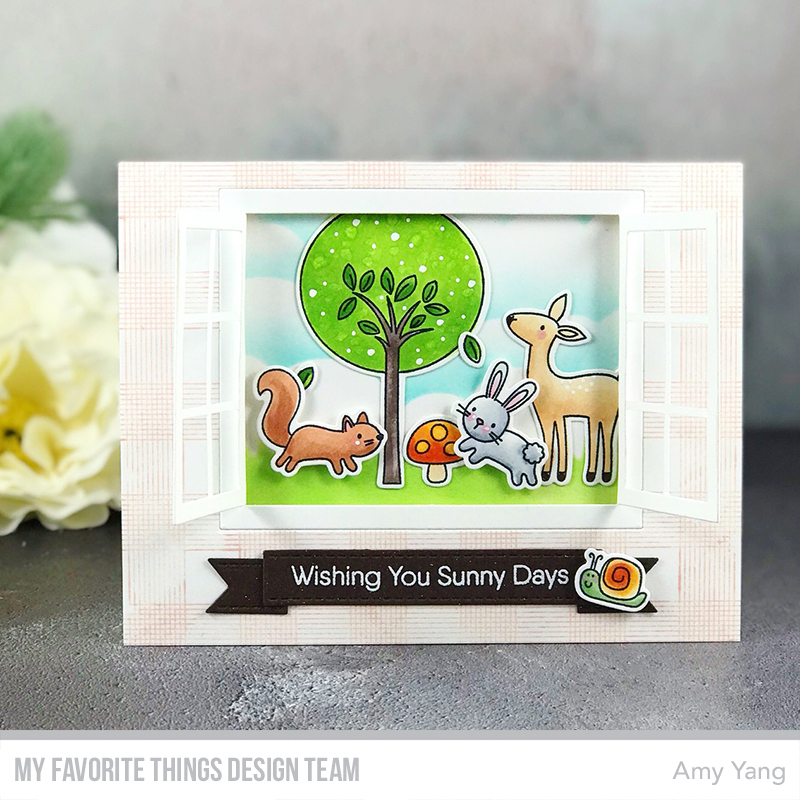 these critters are adorable, this card is such a great way to showcase many of the new products Amy! thanks for sharing! Love that sweet window scene!!! That background stamp is awesome too!! Adorable scene outside that window! Love your card! Gorgeous scene and the critters are so cute! Adorable card. 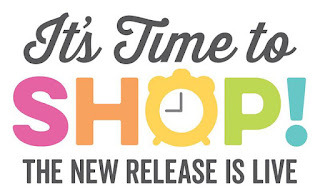 Thanks so much for sharing sooooo many great projects this release. Lovely card Amy, I love the use of the window die. Terrific card! So fun to be able to open the window and see such a terrific scene! 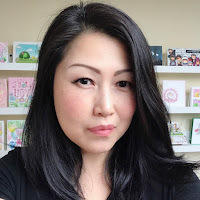 So love your adorable card! Fun card! I love the scene through the window! What a sweet scene! I love how it is viewed from the open window. :) All of the projects you made with this release are just adorable! All your projects are adorable. Thanks for sharing! Oh my gosh - what a cute scene out the window! Love it! 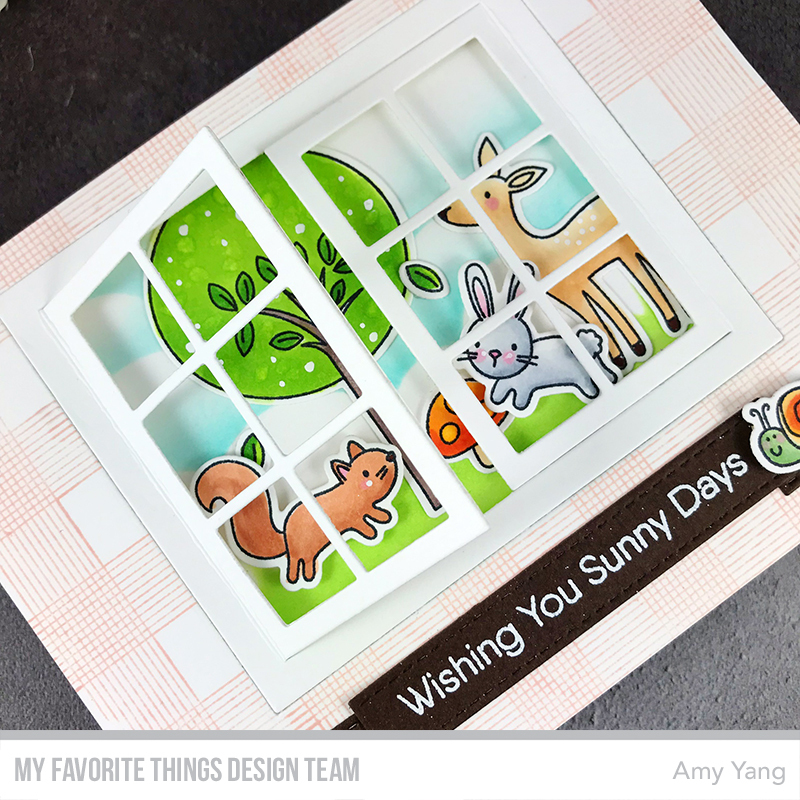 Wonderful window scene...love this new die. Super sweet and fun card! How adorable to open the window to these cute critters.